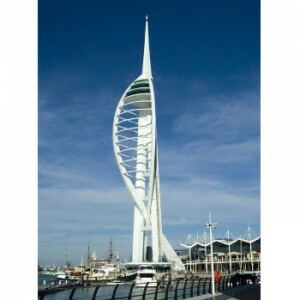 Soaring 170 metres, the Spinnaker Tower offers breath- taking views over Portsmouth harbour and the south coast. Will you dare to ‘walk on air’ on our glass floor or experience the ‘wind in your hair’ in the Crow’s Nest? Experience life from a new perspective at the Spinnaker Tower, Portsmouth. You can view breathtaking sights on a clear day from the crow’s nest with incredible views across the Portsmouth bay and surrounding areas. Check out the historic docks with Nelson’s flagship and the HMS Victory, or set your eye on the horizon and plot your naval voyage! 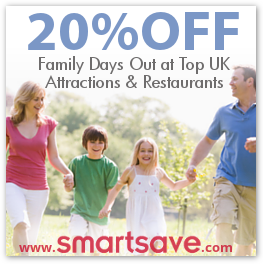 Spinnaker Tower is the perfect family day out for those who love flying high above the city. Get a very different view than you’d normally see – you can see every attraction in Portsmouth from above! You can even have lunch at Portsmouth’s highest attraction. Dine hundreds of feet up in the air for an experience you’ll never forget!